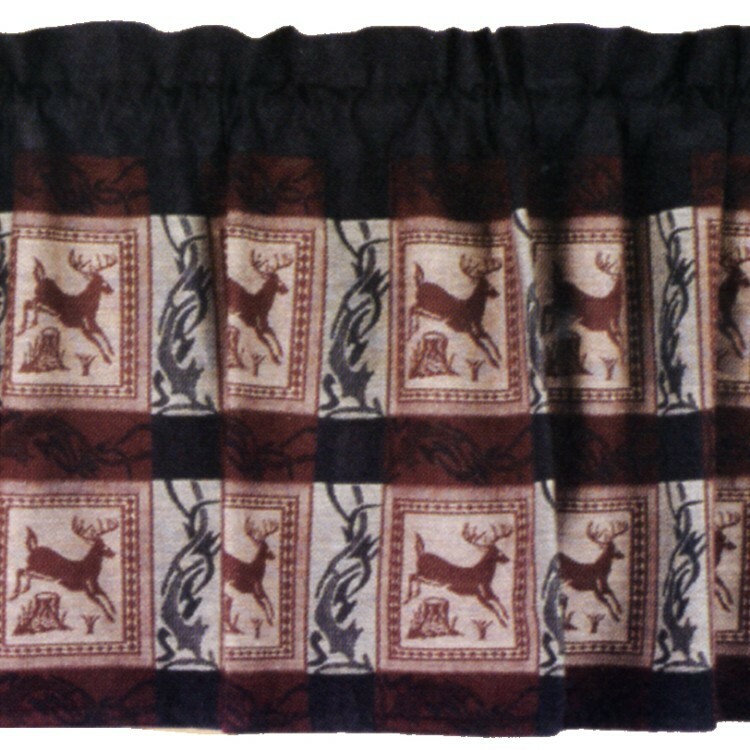 A striking deer pattern in black, brown and off white are combine with an intertwined antler pattern to create this rustic deer table window valance. Made of 100% cotton. 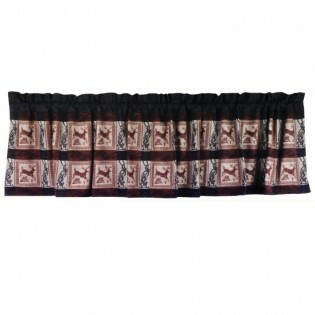 A striking deer pattern in black, brown and off white are combine with an intertwined antler pattern to create this rustic deer table window valance. 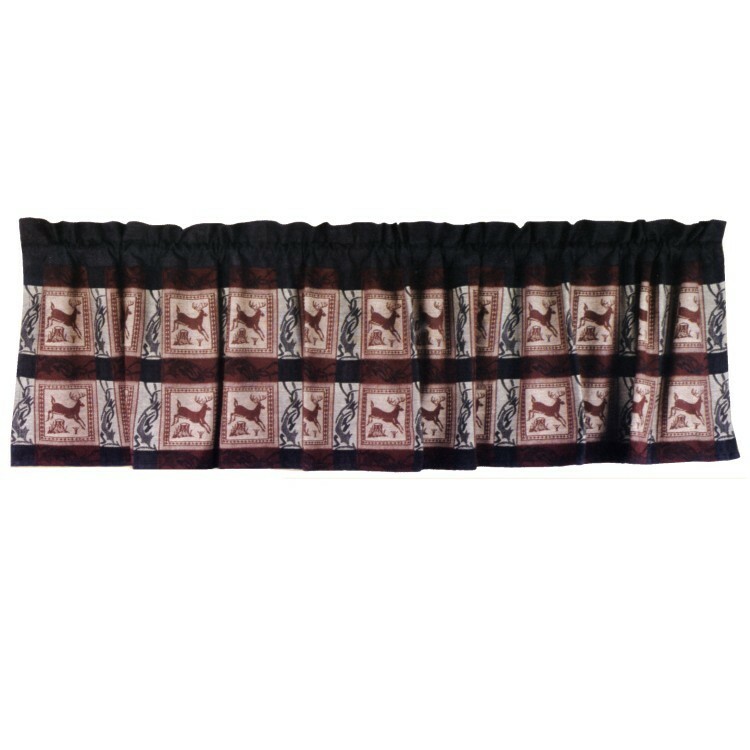 Made of 100% cotton, measures 72" x 18".